Located in the heart of Lekki, Orchid Hotel is just a two-minute drive from Chevron on Lekki-epe expressway in Lagos. It is one of the most comfortable hotels in the region with an emphasis on luxury and style. It is located in a region, which exemplifies peace and serenity to ensure that guests are able to enjoy their stay. Moreover, it has rooms ranging from standard to the presidential suite according to the guests preferences. 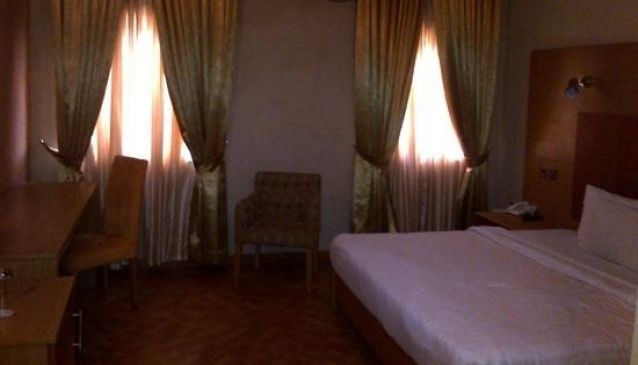 Each room contains the basic facilities and homely décor to allow guests to be at ease while in Nigeria. Orchid Hotel also possesses facilities such as a swimming pool, tennis court, poolside bars, and conference and event centers. Thus, it is perfect for those leisure travellers and/or businessmen or businesswomen who require facilities of this nature, while also requiring a certain level of comfort and ease during their stay.